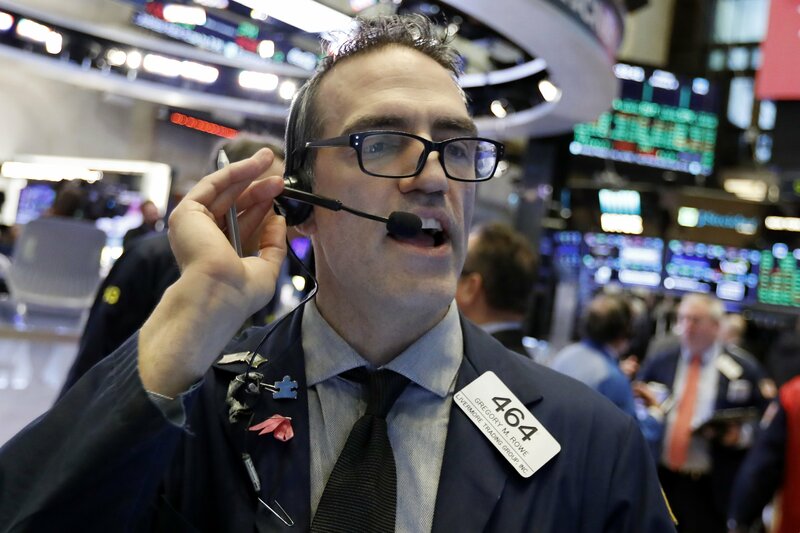 Wall Street roared back, wiping out all of the market’s losses from the previous day, as a barrage of positive news eased concerns about the global economy and interest rates. Major indexes closed up more than 3 percent Friday. Traders were encouraged by news that employers ramped up hiring in December, which could allay fears about an economic slowdown. Those worries, along with a weak revenue forecast from Apple, contributed to steep losses Thursday. China said trade talks would resume next week, and Fed Chairman Jerome Powell said the central bank will be flexible with rates. The S&P 500 rose 84 points, or 3.4 percent, to 2,531. The Dow Jones Industrial Average jumped 746 points, or 3.3 percent, to 23,433. The Nasdaq rose 275 points, or 4.3 percent, to 6,738. China’s government said trade talks between the U.S. and China will be held Monday and Tuesday. Federal Reserve Chairman Jerome Powell said the central bank will be flexible with interest rates. The S&P 500 index rose 67 points, or 2.8 percent, to 2,515. The Dow Jones Industrial Average jumped 590 points, or 2.6 percent, to 23,276. The Nasdaq rose 232 points, or 3.6 percent, to 6,695. Stocks are jumping early Friday as investors are encouraged by news of trade talks between the U.S. and China and a strong report on the U.S. job market. The Dow Jones Industrial Average rose 467 points, or 2.1 percent, to 23,154. The S&P 500 gained 2.1 percent, to 2,498. The Nasdaq rose 2.3 percent, to 6,614. Technology and energy stocks are leading the broad gains. The U.S. government said employers added 312,000 jobs last month. The strong showing could allay concerns about an economic slowdown in the U.S. Those concerns, along with a weak revenue forecast from Apple, contributed to steep losses in stocks Thursday. Most overseas markets rose after China’s Commerce Ministry said trade talks between the U.S. and China will be held Monday and Tuesday in Beijing. Stocks are jumping at the open on Wall Street Friday as investors welcome news of trade talks between the U.S. and China and a big gain in jobs in the U.S. The Dow Jones Industrial Average rose 308 points, or 1.4 percent, to 22,994. The S&P 500 gained 34 points, or 1.4 percent, to 2,482. The Nasdaq rose 96 points, or 1.5 percent, to 6,559. Bond prices dropped as investors turned back to riskier investments. The yield on the 10-year Treasury surged to 2.64 percent.